Below is an article recently published in Ballet News about Tait Awardee, Rebecca Blenkinsop. Rebecca has been supported by an award from the Tait funded by Australian Impressario, John Frost AM. We are delighted to see she has had such great success. 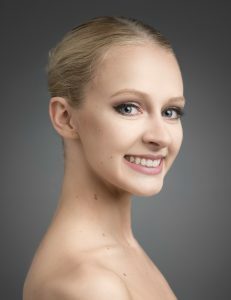 Good news come in twos as another Leanne Benjamin Awards recipient, Breanna Foad has also been offered a contract from the English National Ballet. Breanna was born and lived on the Gold Coast, Queensland, Australia until the age of 14. She was then accepted into The Australian Ballet School, Melbourne Australia for full time ballet studies. 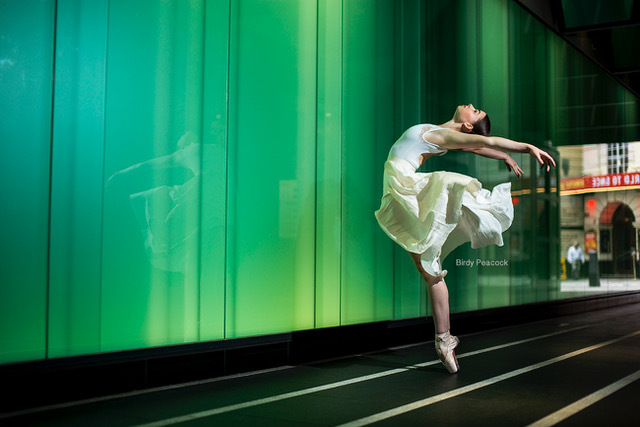 In January 2016 Breanna auditioned for the chance to be accepted into the English National Ballet School in London and was one of only three Australians to be selected and offered a place. She then left The Australian Ballet School and started in September 2016 into 2nd year of a three-year full time course in London. We are thrilled for them both! From Student to Star is an interview series featuring graduates from vocational ballet schools as they begin their professional careers. The questions have been updated to reflect reader feedback; I hope you find them helpful. You’ve been studying at The Royal Ballet School. When did you join the School and what made you decide to train there? I joined the school in September 2015 and I decided to go there due to its renowned classical ballet training and it had been a dream of mine. Prior to joining RBS, where did you train, and how early did you start ballet ? Before I joined RBS I trained at The Victorian College of the Arts Secondary School at the age of 11. What do you think are the important things to focus on during training if you hope for a vocational career as a ballet dancer? I personally believe during training that it is so important to focus on yourself and your own personal journey without comparing yourself to others, everyone progresses at different rates. Listen to your body and be aware of aspects of your training which you need to improve and focus on that. Also take advantage of any performance experiences that you get and cherish these moments as a chance to develop yourself as an artist. And finally never forget why you do what you do, find constant inspiration in other dancers around you and professionals that inspire you. Have you entered any competitions during your training and if so, which ones, and what would you say about your experiences ? In 2015 I participated in the Prix de Lausanne from which I was fortunate enough to receive a place at The Royal Ballet School. I have to say this was one of the best experiences of my life. I particularly liked the process of the competition as it gives all of the dancers an opportunity to be seen in classes throughout the week as well as onstage in a performance setting. I was lucky enough to make it through to the finals which was an incredible experience, although I must say I found dancing on the raked stage incredibly challenging as I was not used to working in these conditions; however I still really enjoyed the performance. I highly recommend this competition as it is a platform for students to be chosen by the best schools in the world. You’ve accepted a contract with English National Ballet. Congratulations ! What was the process you went through to be awarded the contract and and when do you start work? Thank you, I was fortunate enough to be seen by Tamara Rojo during ballet class at my school where she offered me a contract. I begin working at the beginning of August this year. 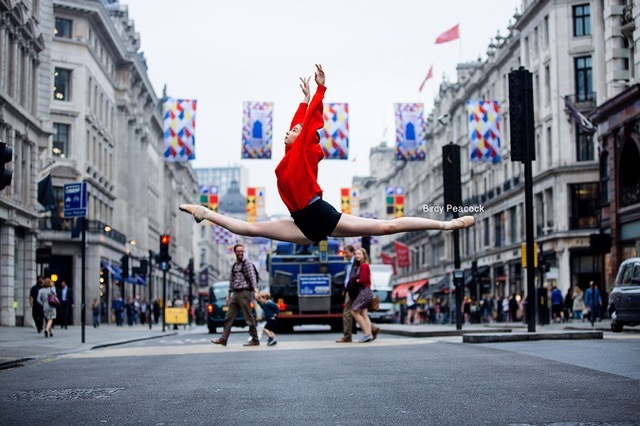 What do you know about English National Ballet & have you spent any time with them yet ? I have seen the company perform multiple times in London and was amazed by the technical standard and performance of the dancers. I also love the company’s classical repertoire combined with many modern contemporary works. I have not yet spent any time with the company but look forward to starting the season. What are you looking forward to about joining the company? This season I am very excited to learn and perform in Manon, Swan Lake, Cinderella and Akram Khan’s Giselle. I am also looking forward to the international tours to Chicago and Russia. I love to travel and can’t wait to see many new places with the company. How do you think company life will differ from your student days? Obviously no more uniform which I am very excited about. In a company you have to draw from skills that you have learnt as a student to maintain and improve your technique as you do not receive feedback and corrections as often as in school. Also I am going to have to prepare myself for finishing late at night after shows, and performing constantly, which is very exciting. What do you think you will bring to the company? I hope to bring my enthusiasm and passion for dance to the company and wider audiences through my performance. How are you preparing yourself for your first professional contract? Sewing lots of pointe shoes! But on a serious note as I have three weeks before I begin, I am going to the gym to complete a fitness program created by the sports scientists at RBS focusing on cardio, leg strength and abdominal work to maintain my fitness levels over the holiday period. I plan on doing holiday classes as well before the season commences. What are you your best achievements as a student? My best achievements as a student include being a finalist of the Prix de Lausanne, dancing Robert Binet’s Self and Soul on the Royal Opera House stage for the RBS end of year show and of course being offered a contract for English National Ballet. I love the technical challenges of classical ballet and the physicality of the art form. For me there is honestly nothing more rewarding than performing a piece on stage that you have worked so hard to achieve. I love the feeling of taking the curtain call and feeling proud of how I danced. I was also attracted by the beauty of the art form and how such complex movement can appear so graceful on stage. Do you have a dream role and/or dance partner and if so what/who are they? I have a few dream roles/works I would love to dance including Manon, Juliet, Aurora, After the Rain by Christopher Wheeldon and Petite Mort by Jiri Kylian. What would you say to students entering their graduate year ? Work hard, stay focused and enjoy every opportunity you are given. In terms of auditioning for companies I would say to be confident in your abilities, make an effort to stand out and focus on yourself and not the other dancers in the room, and always remember you never know what directors are looking for so never give up on what you want to achieve. Where would you like to be this time next year and how will you measure your progress over the year? I would like to continually improve my technique, become a stronger dancer and to have enjoyed my first season as a professional dancer.